Easter is upon us and a long weekend of resting and feasting awaits. Take this holiday as a chance to go out to get your wine and dine on because that’s what we’ll be doing. Let’s just give a round of applause for the places that are sacrificing their own downtime so they can give the rest of us the best possible Easter. 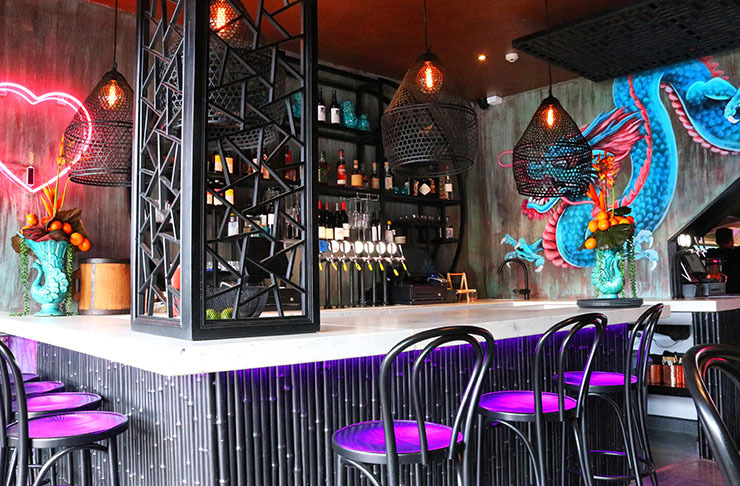 Without further ado, here’s a list on where to eat and drink in Auckland this Easter weekend. What better way to start the long weekend than spending it on the beachside while munching on some top quality food? Takapuna Beach Café & Store has one of the best spots on the North Shore and they take the classic Kiwi fish and chips culture to a premium quality level. They’ll be opening their doors from 7am till 6pm all Easter. Matcha waffles are still possible this Easter weekend as our friends at Dear Jervois are absolute champs and will be open this Easter. They’ll be open and ready to serve their delish dishes from 8am till 4pm. With freshly baked goods and a menu that emphasizes the beauty of simplicity, the Daily Bread is definitely worth a visit. And yes, freshly baked goods include hot cross buns. The Point Chev store will be open from 7am – 3pm all throughout Easter, with the Parnell cafe normal hours Friday to Sunday and closed on Easter Monday. 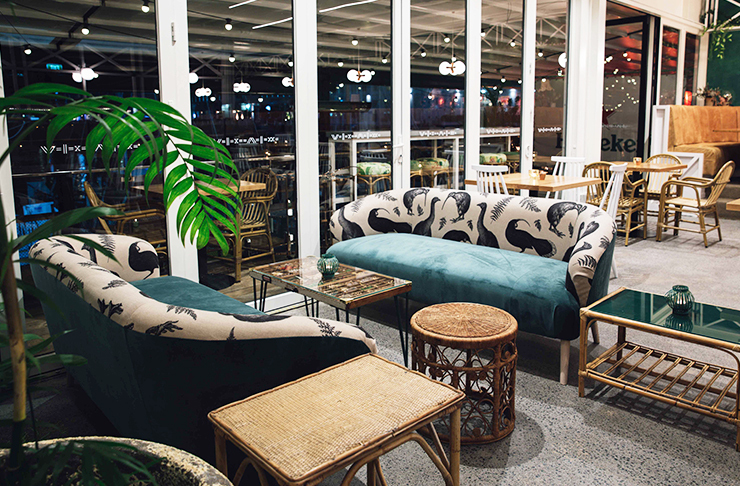 Newly opened in Takapuna and already making waves on the North Shore for their unique fusion menu, freshly baked goods and top quality coffee. Centro is open all throughout the Easter holiday with no surcharge from 8am with the kitchen closing at 2.30pm, while the coffee and cabinet food will be available until 3.30. This all-day eatery has made its mark in Newmarket as one of the top eateries in the area. Although Cali is not open all day and night like usual throughout Easter, they’ll be open from 8am till 3pm from Friday to Monday. One of the top eateries in town will be keeping to their usual hours this Easter weekend. They’ll be serving up their breakfast menu from 7am till 11am and their lunch and dinner menu will go till the late hours of the night. When we say late, we mean it. Amano’s kitchen doesn’t close till around 10:30pm. City favourite Odettes Eatery has tweaked their hours a little bit this Easter but don’t worry, you can still get your hands on that whipped feta. Instead of 7am, they’ll be getting some extra rest and opening their doors from 8am till 3pm for brunch. Odettes will also be serving up their dinner menu on Friday and Saturday night. 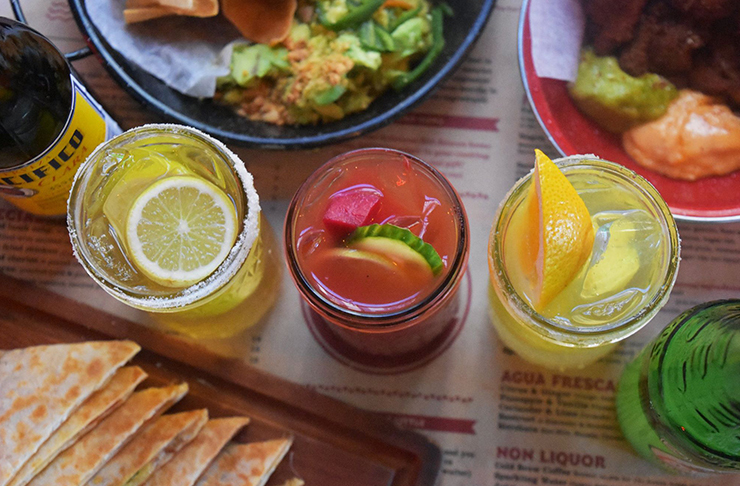 Celebrate Easter with a Mexican fiesta at Mexico. If you haven’t tried their new menu, you need to get in there now as it’s awesome. They’ll be opening from noon till late all throughout Easter which means we can get still get a taste of those churros with caramel praline dipping sauce. 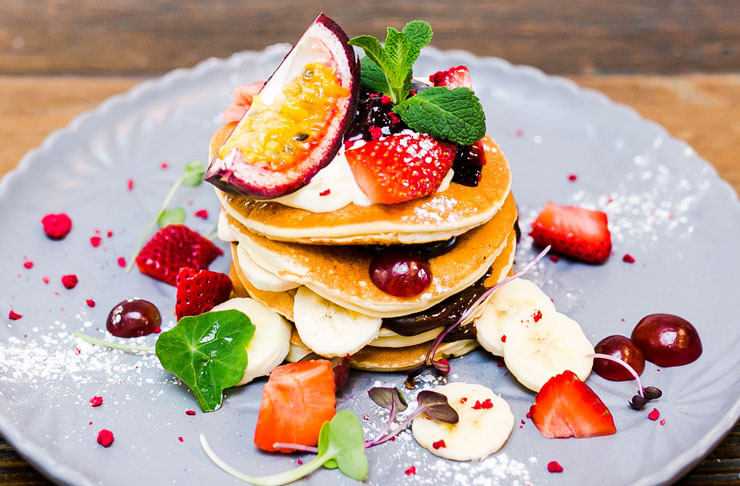 Titirangi all-star, Deco Eatery is not only complete brekkie kings but they also happen to serve up a delectable dinner menu for lucky diners too. The best part is, you can get your fix throughout the long weekend, as they are open all four days as normal. If you’re looking for a place that takes their desserts just as seriously as their mains, La Fourchette is the place for you. Their daytime menu runs from 8am – 3pm, high tea from 3pm – 5pm and dinner from 5pm till 11pm. Please do us a favour and get their hummus to start and save room for dessert as their pastries are delish. These guys will be open from 8am – 11pm all Easter apart from Monday as they’ll close at 5pm as per usual. After renovating a couple of years back, Frasers has become a place of classy dining with a huge menu of a wide range for breakfast, lunch and dinner. The star of Frasers would be their New York-style Cheesecake so be sure to save room for that. They’ll be open from 7am till 11pm on the weekends and 6am till 11pm on Monday and Friday. From 7am till late, The Fed will be keeping their hours, as usual, all Easter holiday which is very good news for us. Easter would not be the same without a late night bite and this American diner vibe eatery. Whether it’s their infamous poutine or indulgent banoffee pie, The Fed is a favourite amongst all Aucklanders. A Mt. Eden gem, use Easter as your chance to check it out. 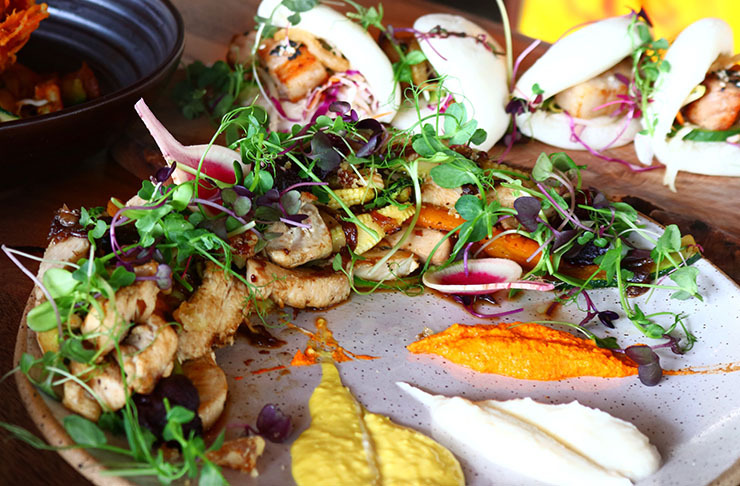 Wu & You , which serves up delicious Asian fusion dishes and get really creative with their menu. Check out their sushi fries, golden potato fries with ramen seasoning. They will be open from 11:30am till late all throughout Easter. The Lula Inn is treating us Aucklanders with their amazing cocktails this Easter. Our fave would have to be Pacific Punch as it comes with ice cream. They’ll be open from 10:30am till late on Monday and Friday and 9am till late on the weekend. And, if you spend $200 or more between the 19 - 28 April, you'll receive a $50 discount. Have a Belgian style grub at The Occidental Belgian Beer Café this Easter. The go-to would be a big pot of mussels paired with their infamous cherry beer called the Belle Vue Kriek. They’ll be open from 12pm till 10:30pm on Friday, 9am till midnight on Saturday, 9am till 10:30pm on Sunday and 9:00am until the kitchen closes. Brisket nachos and chicken wings sound pretty ideal this Easter and thanks to Citizen Park, we’ll be able to get just that. Whether you want to have a nice dining experience or a late night beer, Citizen Park will be closed on Good Friday but then open their doors from 11:30am till 11pm on Saturday and Sunday and 11:30am till 9pm Monday. 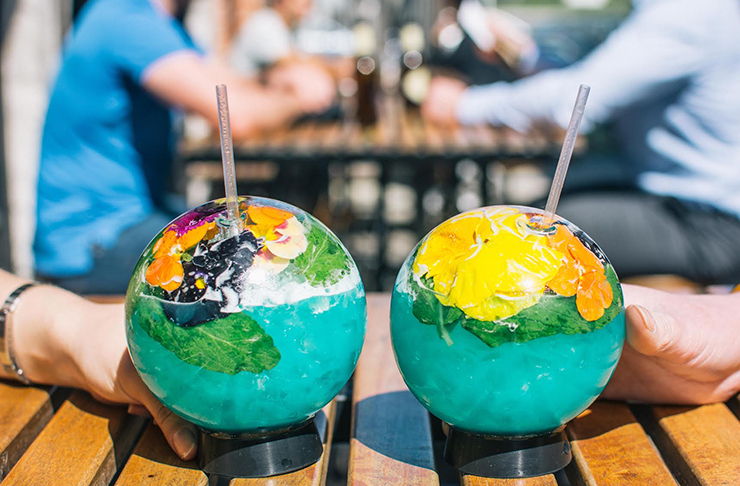 Probably the best cocktails in town with insane creations, Bedford Soda & Liquor will be continuing to work their magic throughout Easter. They’ll be operating their usual hours from 12pm – 12am this Easter, woohoo. Open from 11 am all weekend, Grey Lynn’s very own Malt Public House will be serving up your favourite bevvies alongside cracking grub and good vibes. All main meals on Good Friday and Easter Sunday are $15. Psst, liquor laws will be enforced for this festive period.